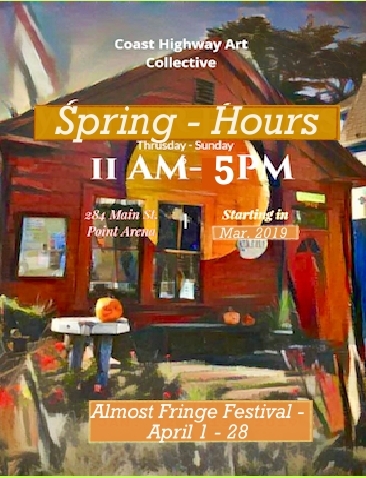 Hope you were able to join us at the lively annual celebration of the Almost Fringe Festival held throughout Point Arena on Saturday, April 13. Our CHAC artists gallery had new art, food and drinks, and live music. Downtown, there was a swinging, hot rock band performing next to the theater. Check out the video above and you'll be tapping your feet and nodding your head to this super hot band. Plus there were many good sales and offerings by all the merchants in our town. 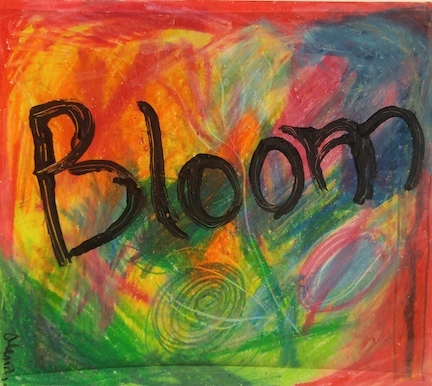 A new exhibit, Feb. 1 - 24, with an opening reception for the artists on Sat., Feb. 2, 5 - 7 p.m. 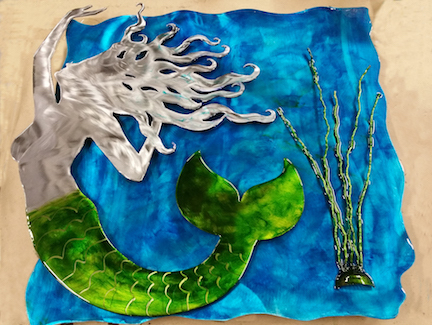 Guest artist Laura Leigh has some gorgeous quiltwork to exhibit, and Kristen is a new member of the collective whose earlier exhibit of her work in metal sculptures and steampunk specialty was an outstanding success. See the above video for a short clip of Kristen and her work at that exhibit. She will have some new work to show us at our February exhibit. Come out and meet these two wonderful artists and have them walk you through the display and discuss the work if you'd like. Food and drink will be made available by the collective and the featured artists. There are many inspirations for the images I capture: poetry, architecture, automobiles, parking garages...pretty much anything can make me grab my camera and start shooting. I love color, diagonal lines, and rich patterns. The final work may look quite different from the original object, as I like to move in close, grab a corner or change the angle of view, though I do not alter the photographs once taken. I want to make you wonder, to ponder, and then to have that “aha!” moment when recognition strikes. 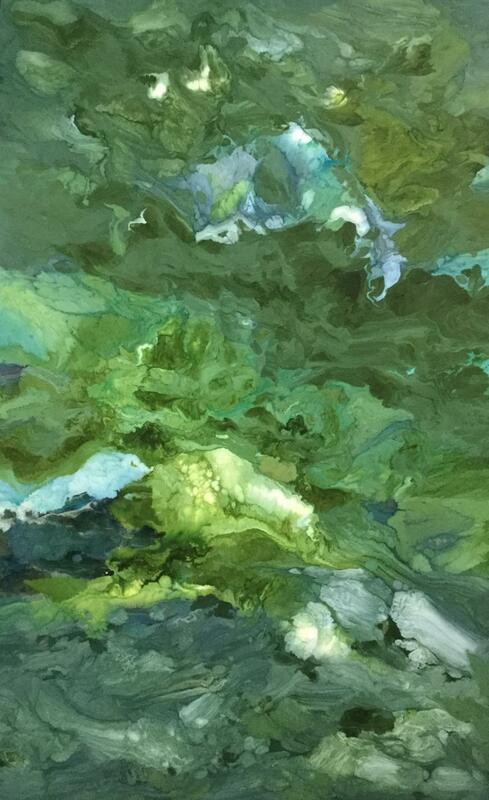 We invite you to stop by our gallery and view some of Geraldine's work, and perhaps visualize the dramatic effect they may lend to an area in your own home. 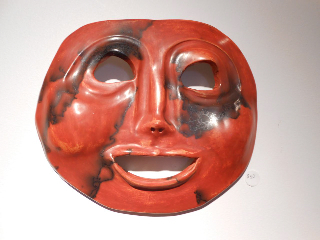 CHAC will have an opening reception on Dec. 1, Saturday, from 5 to 7 pm. 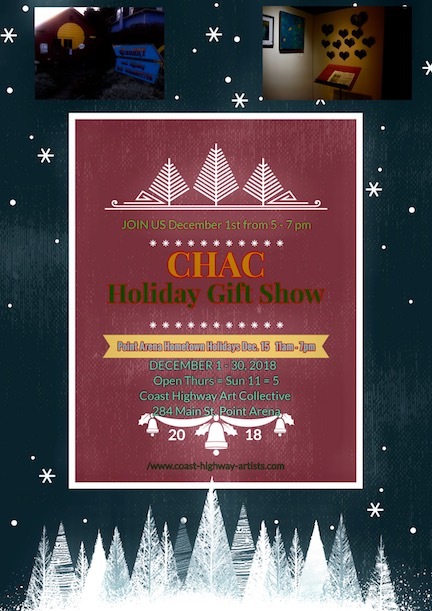 Come and meet the artists, enjoy going over the wonderful display of work by the guest artists, as well as the CHAC member artists, especially chosen to suit the holiday spirit and your gift-giving considerations. 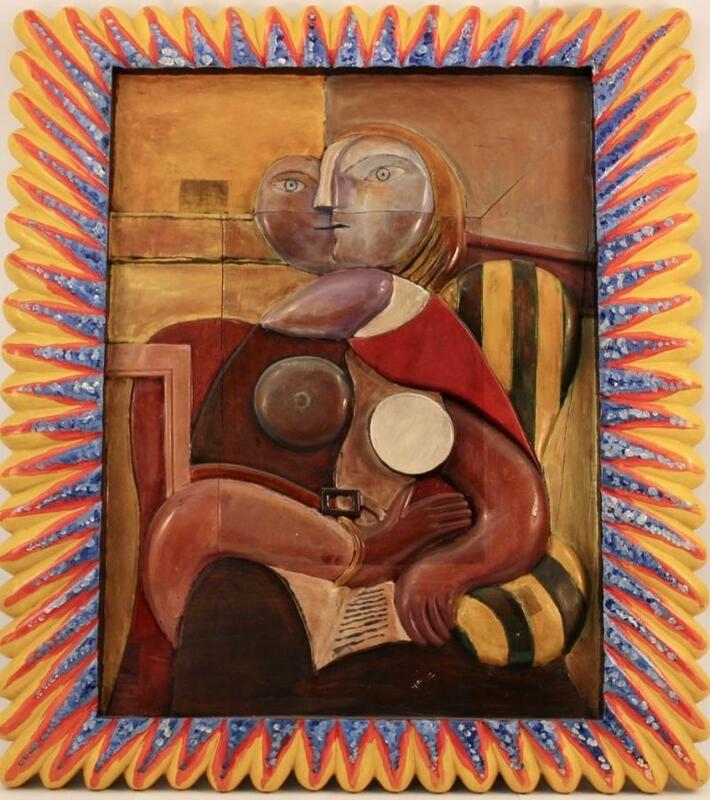 You will enjoy the Pop-Expressionism of our local guest artist, Lena Bullamore--selected paintings are shown below. We also want to invite you to the Dec. 15, Point Arena Hometown Holidays event, where local merchants and the CHAC gallery host special evening shopping hours from 3 to 7 pm. 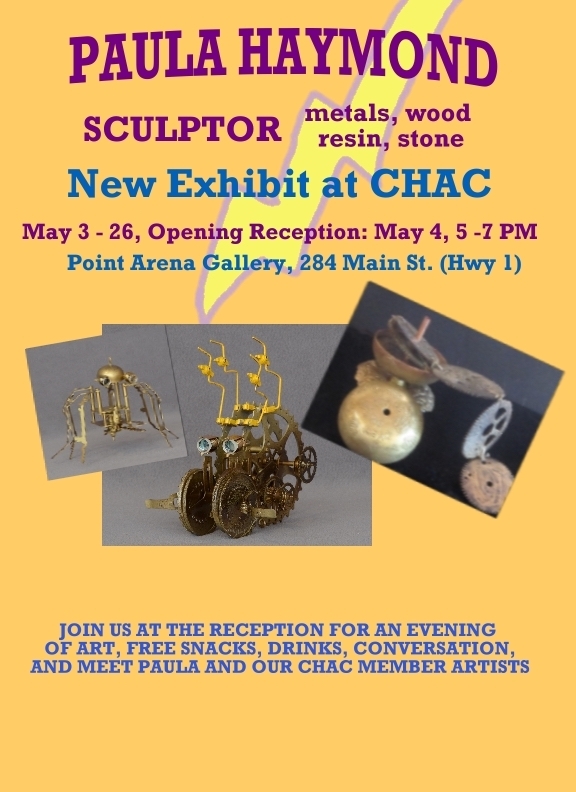 The CHAC gallery will be open all that day from 11 am to 7 pm. Another feature during the Holiday shopping season is a pop-up fashion show by Hatz Gallore, with Mary Thomas, to be held in the CHAC gallery on Dec. 6, during our regular gallery hours of 11 am - 5 pm. Please join us for this exciting fashion event. 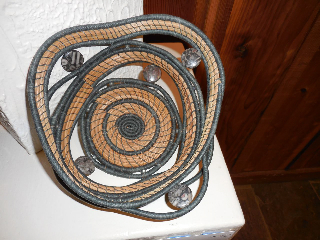 Carolyn Zeitler graduated from San Jose State University in 1976 with a degree in ceramics and weaving. She began working as a United State Forest Service fire look-out in Big Sur in 1979 and started making baskets with the native Coulter Pine needles. 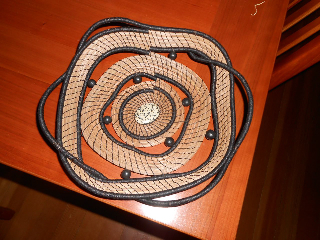 Her baskets evolved, as a kind of marriage combining her two loves – clay and fiber. Sharing the opening with Phillips is Chris Grassano, who lives in Cazadero. Her life-like oil paintings of birds and animals are so realistic, viewers almost expect the creatures to fly or run right off the canvas. Grassano explains "My oil paintings of nature focus on the birds and animals I encounter near my home under the Redwoods and throughout the North Coast. My goal is to capture in paint, the feeling of excitement and wonder in the moment the I first see the animal. I hope my images translate my deep love of the natural world so that those who view these paintings get these same wondrous feelings. Please mark your calendars and join us at this fun opening exhibit for Brenda and Chris. Stay tuned and come back here to our home page for more examples of the artists' work and further details. 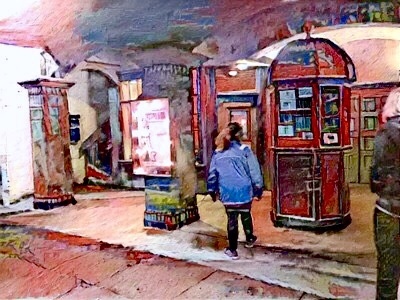 Debbe and Emma are two invited local artists who have exhibited earlier in the CHAC gallery and have been very popular with patrons of the gallery. 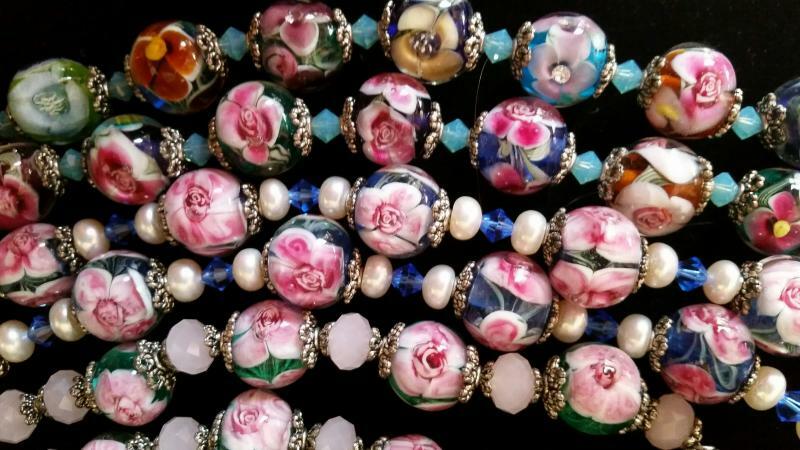 Debbie creates the most exotic, exciting lampwork beads jewelry that might be found, anywhere, including at the most tony, boutique shops here, or in mysterious foreign bazaars! 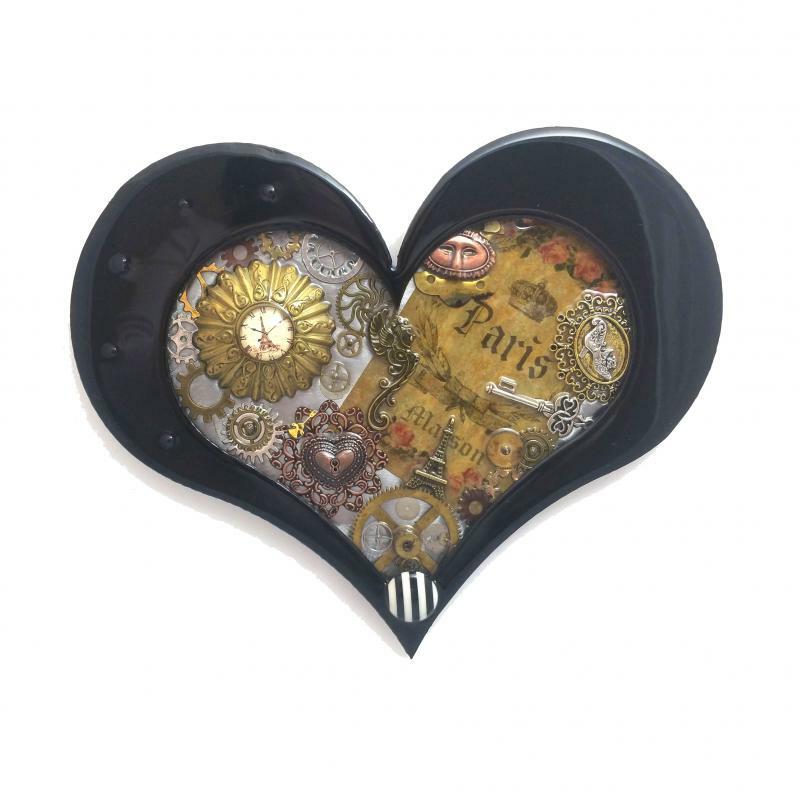 And all are attractively priced and within sensible budgets for gift giving. 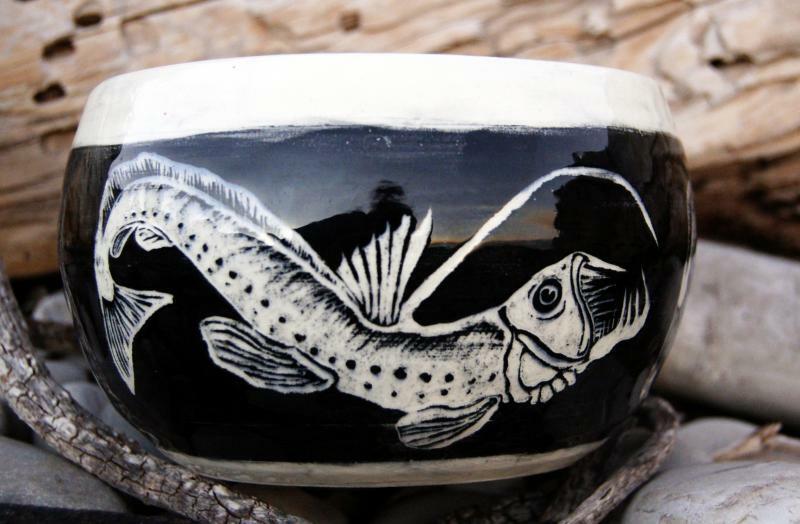 Emma's ceramic ware exhibits all the hues of the ocean and seashore, and may be embellished with attractive drawings of maritime life. 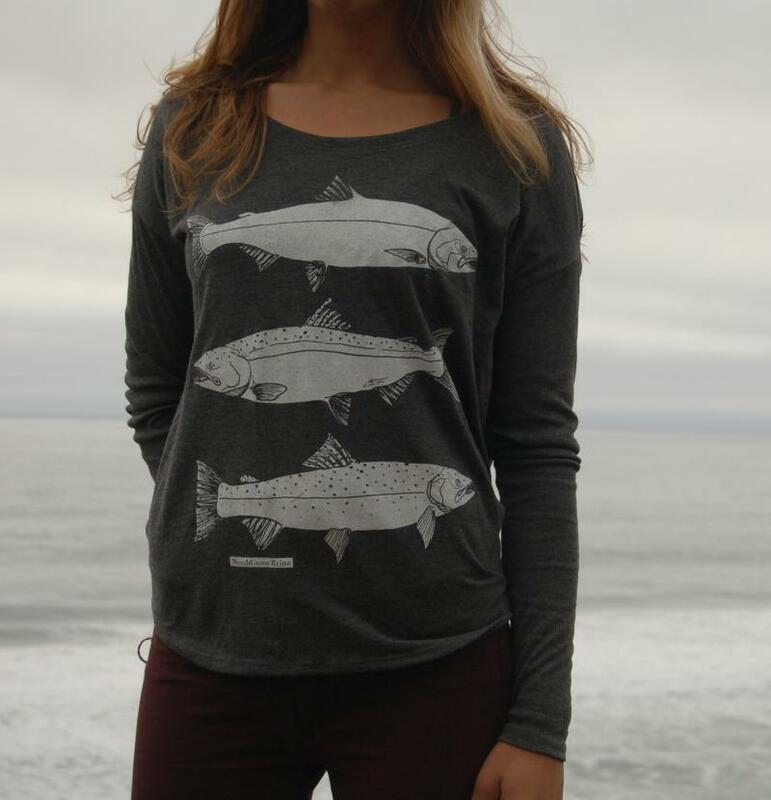 She also designs and produces marine life themed wearing apparel, and donates a portion of her earnings to marine sustainability non-profit organizations. Mark you calendars for the exhibit opening, Friday, Aug. 3, with a reception from 5 to 7 PM. Our receptions are always well attended by locals and visitors. Food and beverages are provided by the gallery, and the featured artists. 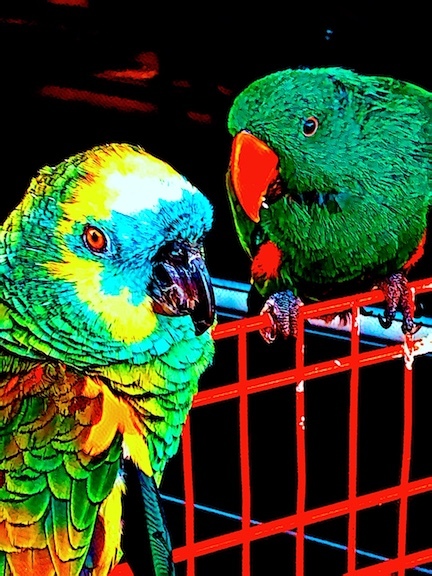 Michael is one of our newer, local member artists. Michael is a well known American artist best known for his abstract painting projects. His work uniquely examines the relationship between form and fluidity. ﻿Come by our gallery and see some of his paintings. The following are selected from his wide collection; those currently on display are chosen especially for this month's exhibit. 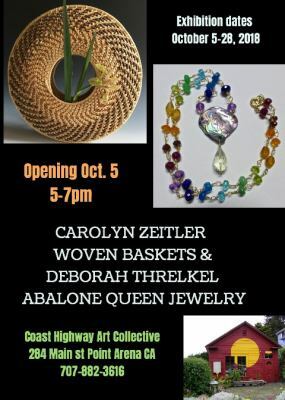 The Coast Highway Art Collective in Point Arena ushers in the fall with an opening reception exhibiting intricately woven baskets and delicate abalone jewelry. 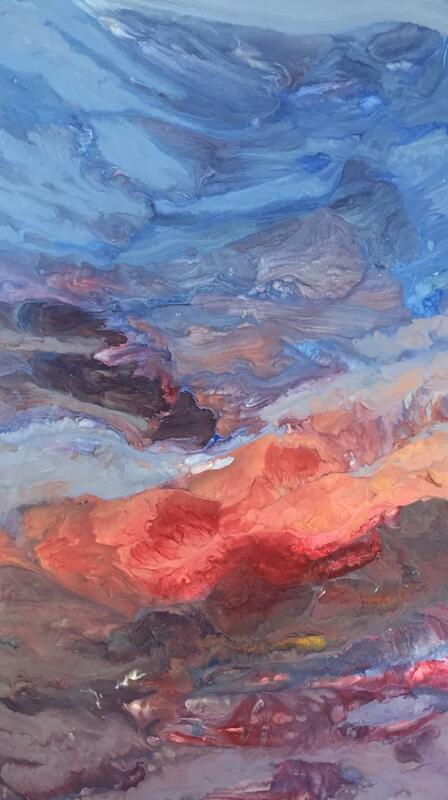 The show features the distinctive works of local artists Carolyn Zeitler and Deborah Threlkel. An opening reception for the show is on Friday, October 5, from 5 to 7 p.m. at the gallery, located at 284 Main St., Point Arena. The public is invited to meet the artists and enjoy a glass of wine and small bites. 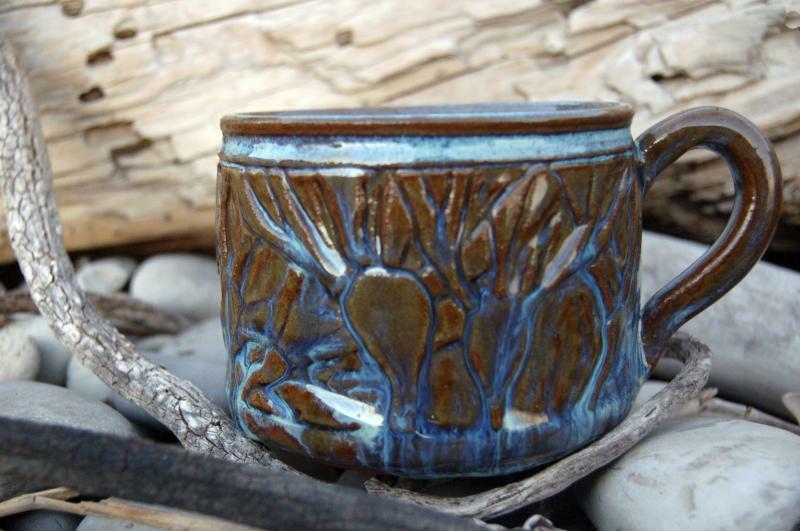 ﻿Carolyn Zeitler ﻿graduated from San Jose State University in 1976 with a degree in ceramics and weaving. She began working as a United State Forest Service fire look-out in Big Sur in 1979 and started making baskets with the native Coulter Pine needles. Her baskets evolved, as a kind of marriage combining her two loves – clay and fiber. In 2016, Zeitler spent three months in Japan, culminating years as a passionate student of Japanese culture, art and language. There, she studied the language and absorbed the culture. “My new works incorporate my love of Japanese language, Japanese calligraphy, haiku, papermaking and pine needles, of course. I love this new direction. It opens upa whole new way of using color, text and designs that was not possible just using pine needles,” says Zeitler. 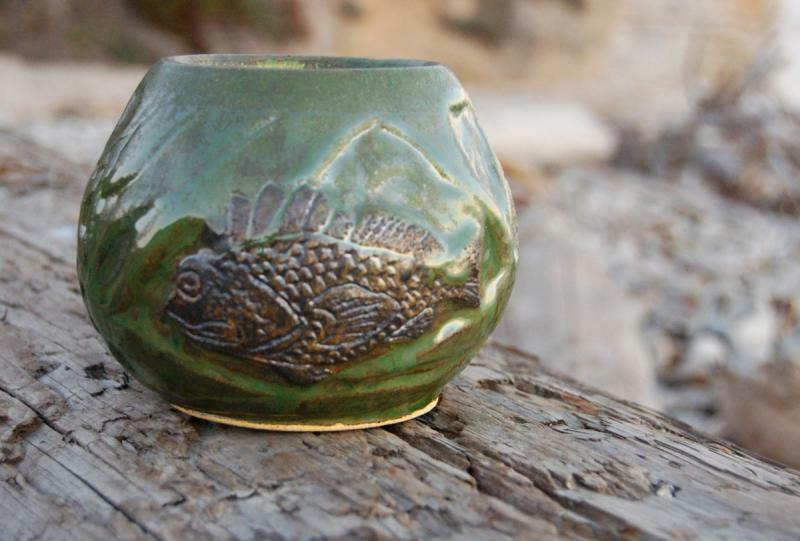 Deborah Threlkel, aka the Abalone Queen, began making jewelry 20-years ago. Seven years ago, when she moved to the Mendocino Coast, her focus honed-in exclusively to abalone jewelry. 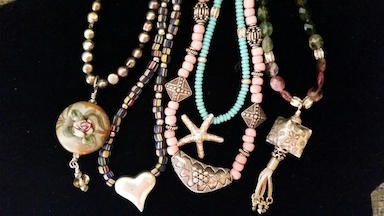 Threlkel creates unique, one-of-a-kind jewelry influenced by the structure, color, texture and iridescence of the shells and stones she works with. An inveterate collector, she is continually inspired to turn treasure polished smooth by the ocean into wearable works of art. Threlkel sources the majority of the shells by beach combing the Northern California coast. 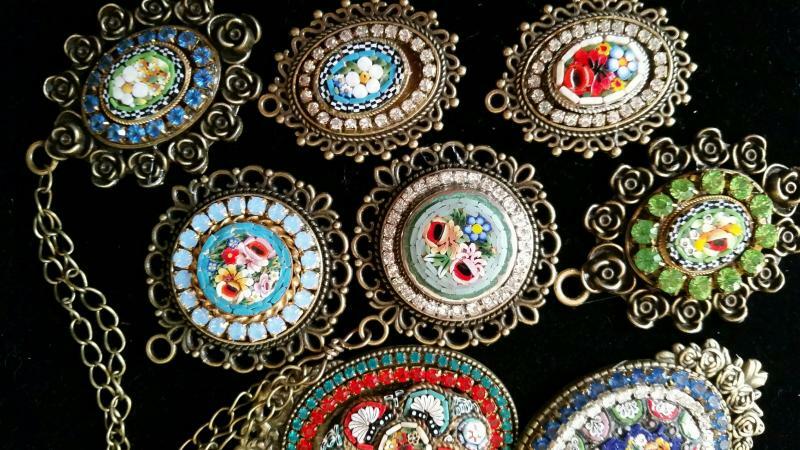 She also uses vintage and exotic shells and beads from places like Tasmania, Russia and Madagascar. Each piece of jewelry is individually crafted around the shells being used. Designed to last, she gathers, sorts, drills and wire wraps abalone and shells combined with gemstones, 14k gold, gold fill and sterling silver. With no two pieces alike, the result is like a small wearable sculpture. “I love the process that brings me to a completed necklace or pair of earrings knowing that Abalone Queen jewelry will feel like you are wearing the ocean,” says Threlkel. The October show will be on exhibit from Oct. 5 until Oct. 28. Regular gallery hours are Thursday through Sunday from 11 am to 5 p.m. 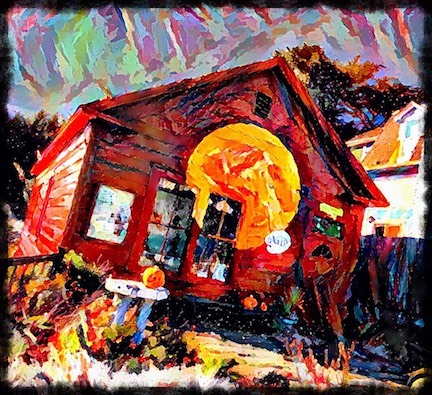 The gallery is located at 284 Main St., Point Arena, the little red building with the big yellow sun next door to the Redwood Credit Union. Dec. 1 - 29, Holiday Gift Show by Collective. Special exhibits and art sales on Dec. 14, 3 - 7 P.M.
Part of the annual ALMOST FRINGE events includes the kite flying at the Point Arena Lighthouse grounds. Here are a couple of photos by Chris Grassano. The kites are truly works of art! The Almost Fringe Festival is always interesting! The unusual, the bizarre, just a bit whacky, maybe even shocking – that’s what the Almost Fringe Festival is all about. 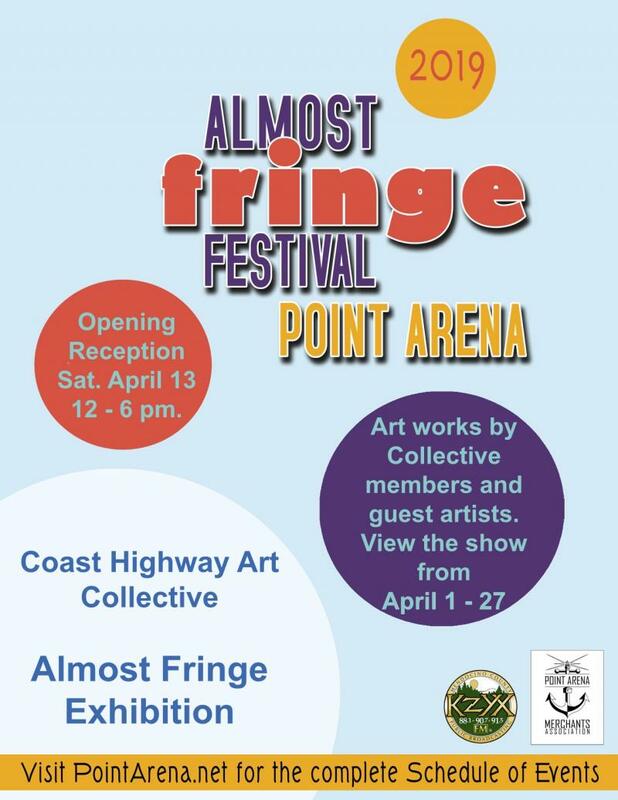 Join the members of the Coast Highway Art Collective for a celebratory weekend of this fun and free-form event on Friday, April 27 and Saturday, April 28 in Point Arena. The Collective is hosting two nights of music, food, special guest artists and new works by its members. 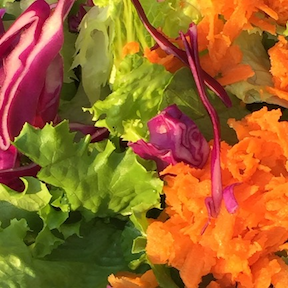 Loosely based on the International fringe art movement, Mendocino County celebrates this as a month-long festival at several venues to celebrate all of the creative happenings countywide, from traditional to cutting edge and artsy to agrarian. The original Fringe Festival is held annually in Edinburgh, Scotland. It is the largest art festival in the world. This festival spans 25 days and includes events in 294 venues in the following categories theatre, comedy, dance, physical theatre, circus, cabaret, children's shows, musicals, opera, music, spoken word, exhibitions and events. 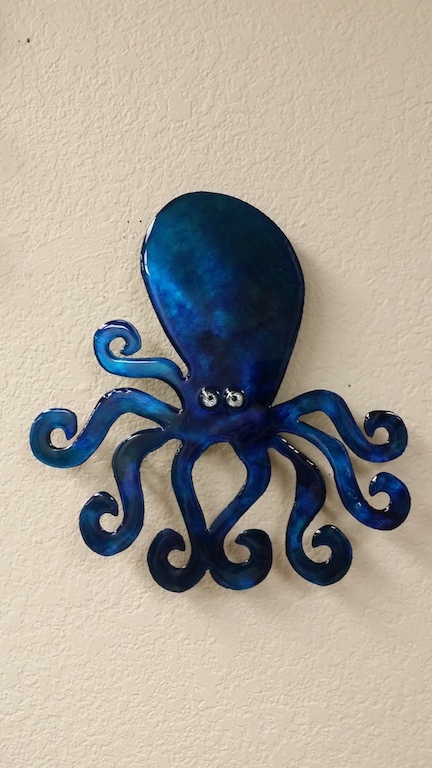 Locally, this idea was created by the Mendocino Council for the Arts and is being promoted county wide by Visit Mendocino. The goal of the festival’s planning group is to have a culturally diverse festival that reflects the complexity of our amazing community. In addition to encouraging all local merchants and restaurants to participate, plans include creating a fun and engaging festival street scene, with street performers, musicians, food vendors, vendors, dancers and performance art. 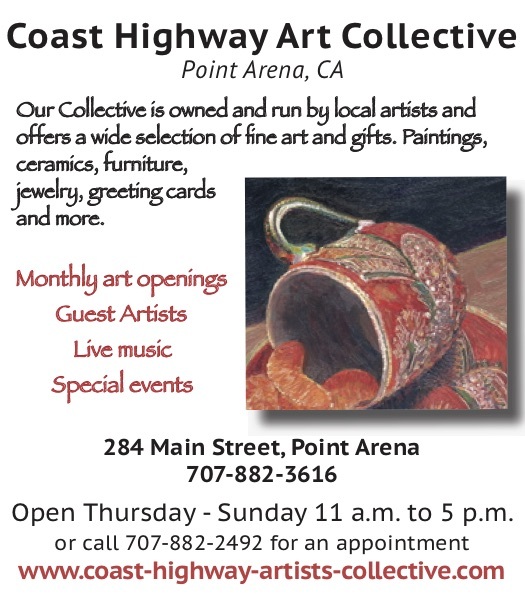 The Coast Highway Art Collective is joining into the festivities with guest artists Karen Shapiro, ceramics, Laurie MacAdams, jewelry, Jane Reichhold, ceramics; Carol Frechette, leather and Doric Jemison Ball, ceramics. 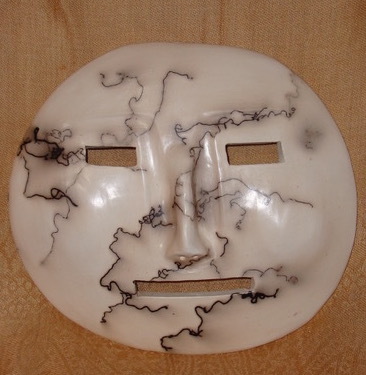 Collective members will also have new and interesting pieces on exhibit in the spirit of the festival theme. The Coast Highway Art Collective celebrates its 7th anniversary on Friday, March 1, from 5 to 7 pm. with a new exhibit, food and drinks. The exhibit will focus on the range and diversity of the collective member’s work and a celebration of community involvement, a founding ideal of the group. The members invite the entire Mendomona community to celebrate with them. The building has a very interesting history. Local book publisher, the late Warren Jones, purchased the building in a state of disrepair, having no idea how to use it other than improving his beloved City of Point Arena. A group of artists suggested an art gallery and he embraced the idea. Volunteers rebuilt the building and called the gallery CityArt. The interior was completed in 1997, and was active as the creative and vibrant CityArt Gallery for ten years. The gallery closed in 2007 and the building sat empty, waiting patiently for a new life. Then, in 2012, the idea of the gallery was resurrected and Barbara Fast, a renaissance woman in her own right (former pediatric surgeon, artist and musician) became the founder and first manager of the newly minted Coast Highway Art Collective. The artists who work to make this collective succeed are just as eclectic and quirky as the building they inhabit. Currently there are15 artists whose work ranges from oils and watercolors, photography, jewelry, textiles, woodworking including birdhouses and ceramics. With so many creative outlooks among this diverse group, one thing all agree on is the importance of the gallery as a place to display and sell their work, and the amazing sense of community and nurturing each member experiences. Original member Bea Acosta says “The gallery has provided me with a venue to show my work and a camaraderie of local artists who support each other.” Another original member, Brenda Phillips, noted “I love having the gallery as a place I can show my latest inspirations. For years now, the gallery has been a wonderful showroom for my art. The gallery often has guest artists in addition to the collective members. Monthly opening receptions for featured artists often include tasty food, drinks and live music in the garden when the weather cooperates. The gallery participates in American Craft Week and the annual Almost Fringe Festival, a fun event where artists are encouraged to let their imagination run wild and create from the heart, not from the wallet. The gallery opens its doors for the Point Arena’s annual Hometown Holidays, a special night when Main Streets fills up with holiday shoppers and revelers. The gallery lights up with a holiday tree decorated with handmade ornaments made by collective members. My move to beautiful California challenged me artistically even more as I began studying Chinese Brush Painting. After six years of study in this ancient art form, I knew I had found my soul’s true artistic home! 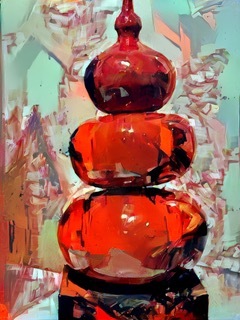 I continue my love for the Dynasty-old Brush Strokes, and have been painting, teaching, and exhibiting in this style for over three decades.﻿. Drop into our gallery to inspect some of Andrea's work. You will be pleased with the gorgeous designs and quality of her pieces. Following are a few of her sushi appetizer dishware. 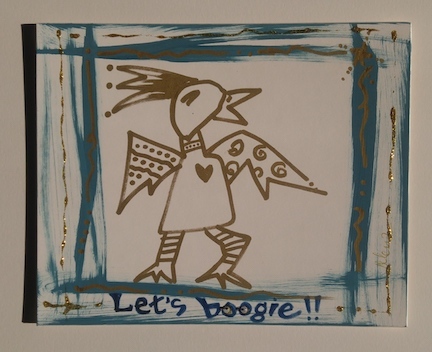 Bea is one of our foremost artists featuring southwestern contemporary and traditional motifs in her work. We are presenting some of her art in this column to give our viewers a few ideas for their holiday shopping. 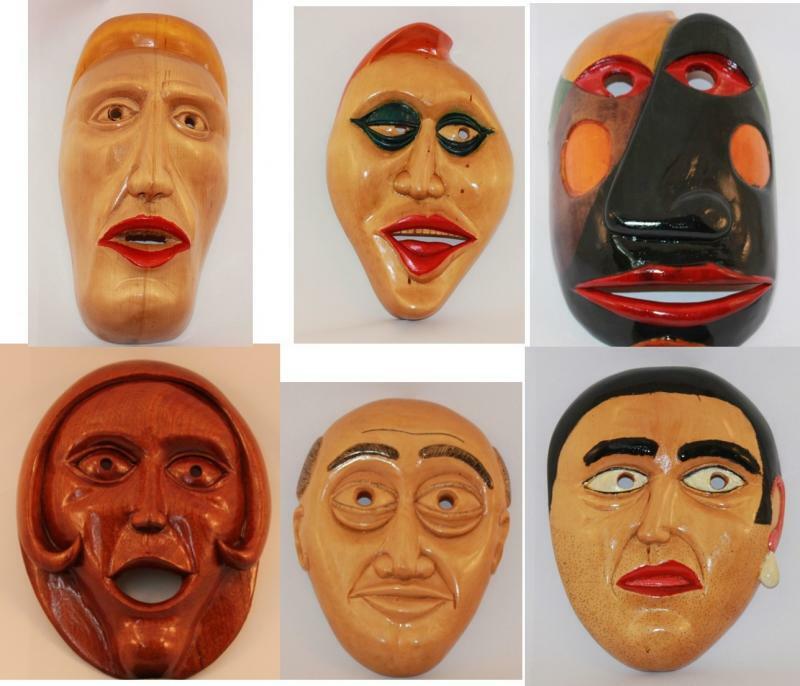 Visit our gallery to see these and more! 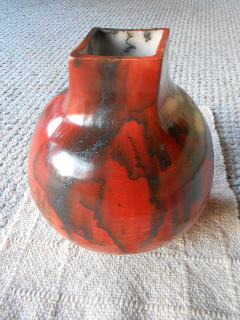 "My Native American/ Mexican roots have emerged in my pottery and ceramics. The joy I feel as my hands create with the clay must have connections to my ancestors. I am enamored with the piece as it unfolds and I rarely know beforehand what I want it to look like. It evolves as the clay and I create together." 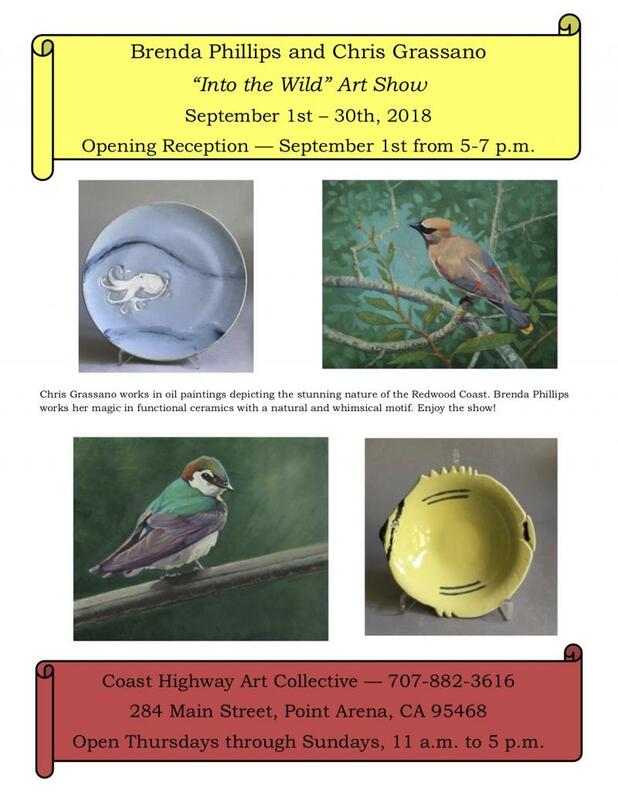 The Coast Highway Art Collective is exhibiting Almost Fringe pieces of artwork from our collective members plus, we will have guests Doric Jemison Ball, Sue Friedland, Margaret Lindgren, and Paula Haymond. The exhibition is up April 1-27,2018 with the opening on April 13,2019 from 12 noon to 6 pm. We will have music at 1 pm with Brut and Blush, Leslie and Eric Dahlhoff. John Stickney has recently joined the Coast Highway Artists Collective, making avaliable to our Point Arena art gallery visitors a unique line of art work. 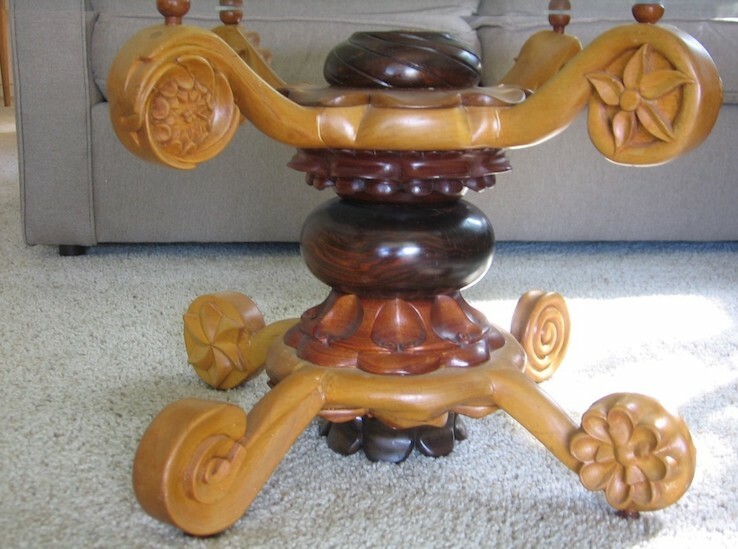 His art is focused on carving and furniture design. All pieces are handmade and one of a kind. He has a love for wood: the grain, texture, and appearance, and is attracted to color, and has worked with toy dyes, and paint on wood. He has worked on relief carvings of paintings by artists he admires, including Michelangelo, as his paintings read as sculpture. Recently, he has worked on album covers of bands from his youth. In other woodworking, he has designed tables, beds, desks, lamps, a rocking horse, and many other architectural and interior furnishings. 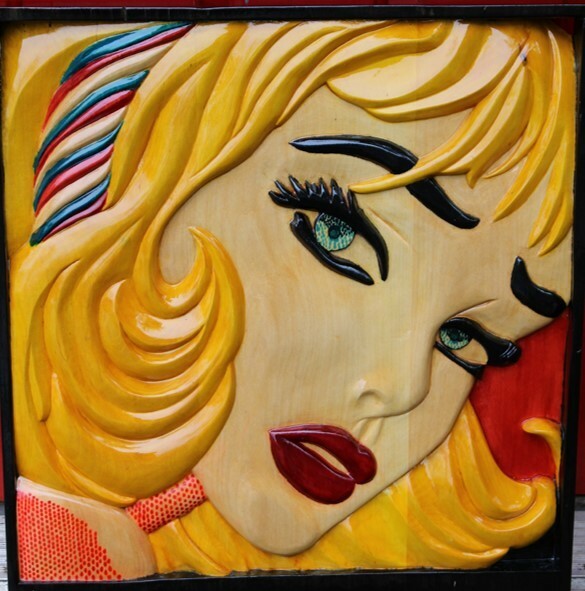 Stop in at our art gallery soon to view some of Stickney's latest pieces.